In January 2018, we welcomed a new musical director to the choir. 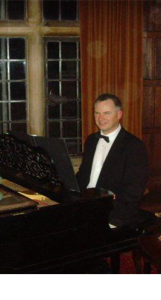 After supporting the choir as accompanist for the past two years, Adam Hope took up the post vacated by the retirement of Chris O’Neill. We asked Adam to tell us a bit about what he is looking forward to in the role. What attracted you to working with an amateur choir? One of the most exciting and challenging aspects of choral conducting is guiding and shaping the sound of a group of people who sing together. I’m a great believer that if people come together with the intention of singing, there’s huge potential and energy to be exploited. With hard work, patience and dedication, over time I believe you can achieve amazing things. And helping non-professional singers to experience the highest levels of music-making and sharing that with audiences is one of the most fulfilling aspects of the role of a choral conductor. What are you most excited about by this new role? The most exciting thing for me is the opportunity to work with a choir that has such great potential for development. 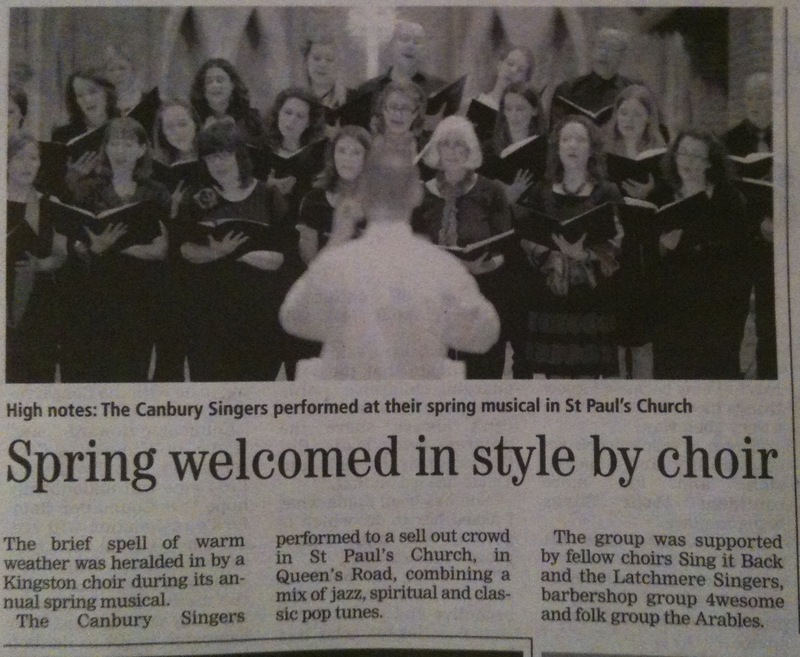 I’m fortunate to have taken the helm at Canbury Singers at a time when the choir is healthy, happy and full of life. It’s still a relatively young choir, and there’s some great opportunities. How we can challenge ourselves next? What does the future look like and how do we grow our reputation? What has surprised you most about working with the choir (as accompanist) in the past year? Definitely the choir’s good spirit and sense of community. The people are so warm and kind, and put on a fabulous musical performance. As we move forward, I hope these two things will continue to define us: a high-quality level of music making and a warm and happy community where encouragement and support are at the heart of what we do. Both the previous conductor (Chris O’Neill) and the great committee have helped to foster this culture and attitude. I had a previous life as a jazz pianist! While at uni, I spent all of my free time playing jazz and had the good fortune to study with the late legendary jazz pianist Eddy Harvey. First studying jazz piano as a teenager, improvisation has always been central to my practice as a musician, and is now most alive in my work as an organist where I’m continuing to discover a new world in the art of improvisation. Nowadays, although I don’t play jazz regularly, the most important trace of jazz that impacts my work is a feel for rhythm and groove – which is often missing from a lot of choral music! The end of 2017 marked a big change for Canbury Singers. After 10 years, our musical director Chris O’Neill decided to retire from the role. When Chris took over the choir back in 2007, it was a much smaller group. Under his direction, the choir began to grow – both in numbers and in ability as we began to practice and perform a wider variety of music. Today, thanks to Chris’s support and professionalism, the choir is now more than 40 members strong and performing regularly. Chris will be greatly missed by all the singers. But we look forward to seeing him on Sundays, as he will be making the trek down from St Albans to direct the church choir. You can find out when we are performing next on our Future Events page.